Here’s all you need to know about the South Africa vs Sri Lanka 2nd T20I from SuperSport Park, Centurion on Friday. 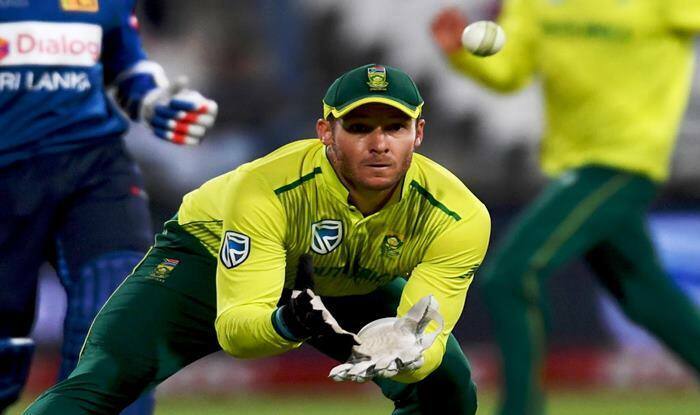 South Africa vs Sri Lanka 2nd T20I Live Cricket Streaming: Sri Lankan cricket has gone through a wide range of emotions on there over a month-long tour to the Rainbow nation so far. From witnessing an unparalleled joy of becoming the first Asian country to win a Test series in South Africa to dealing with a harsh reality check in the ODIs. However, the Islanders can take a lot of heart from the way they played in the 1st T20I where they once again found themselves in the middle of action. They played out a thrilling tie before the Super Over put them one-down in the series. Sri Lanka have some serious concerns to address; outside their T20 game. Primary among them has been that Thisara Perera, the batsman, has not come to South Africa with the same form that he displayed in New Zealand. South Africa have worked a way around his weakness and he has two more games to address the short-comings. The other big match-winner in the side – Lasith Malinga – may have bowled a superb spell on Tuesday, but the talks around the ODI captaincy being handed over to Dimuth Karunaratne is unlikely to leave him in a settled space. And with South Africa resting five of their senior players, the challenge should get easier for the second match. When is the 2nd T20I between South Africa and Sri Lanka? The 2nd T20I between South Africa and Sri Lanka will take place on Friday, March 22. Where will the 2nd T20I between South Africa vs Sri Lanka be played? The 2nd T20I between South Africa and Sri Lanka will be played at the SuperSport Park, Centurion. Which TV channel will broadcast the 2nd T20I between South Africa and Sri Lanka in India? The 2nd T20I between South Africa and Sri Lanka will be broadcasted live on Sony ESPN, Sony ESPN HD in India. Where to watch the free online live streaming of 2nd T20I between South Africa and Sri Lanka? The free online live streaming of 2nd T20I between South Africa and Sri Lanka will be available on SonyLiv app. What are the probable XIs of 2nd T20I between South Africa and Sri Lanka? South Africa Probable XI: Reeza Hendricks, Aiden Markram, Rassie van der Dussen, JP Duminy (C), David Miller (wk), Chris Morris, Dwaine Pretorius, Andile Phehlukwayo, Dale Steyn, Lutho Sipamla, Tabraiz Shamsi.